Cycling’s top grand tour rider of this generation, Spaniard Alberto Contador wants to aim for the Tour de France and Olympic titles in 2016 before retiring. Contador attempted to win the Giro d’Italia and Tour de France double this year. He succeeded in the first, but had to settle for fifth in the latter. Next year – ‘possibly’ his last year – he will change focus. “Next year, we’ll change the plan completely, focusing fully on the Tour and will come with a few different ambitions,” Contador said when the Tour ended two weeks ago. “I want to plan a season like 2014, fight in the early-season races at the highest level, with intensity, do the Tour and the Olympics, which I think are hard and maybe will suit me for once. If you count up his wins, Contador is the greatest grand tour cyclist since fellow Spaniard Miguel Indurain in the 1990s. With seven grand tours, he is the fourth most winning rider with Indurain and Italian Fausto Coppi, behind Eddy Merckx, Bernard Hinault and Jacques Anquetil – in that order. Contador won the Giro d’Italia in 2008 and 2015, the Tour de France in 2007 and 2009, and the Vuelta a España three times, 2008, 2012 and 2014. He lost two of his wins, the 2010 Tour and 2011 Giro, due to a positive for banned drug Clenbuterol in the 2010 Tour and doping suspension. He said that he did not knowing take the drug, and still counts those victories. This year, he tried to become one of only eight cyclists to win the Giro/Tour double. He said ahead of the Tour that that would mean more to him than winning another Tour title on its own. He was unsuccessful because he was tired from the Giro and he faced better rivals, namely the 2015 winner Chris Froome (Sky). “The main problem was what was required in the Giro,” Contador said. The 32-year-old from Madrid’s outskirts instead will roll back the clock two years to mimic 2014’s schedule. For 2016, he could race three to four stage races with Tirreno-Adriatico and the Critérium du Dauphiné included before the Tour. Unlike 2014, when he broke his tibia and abandoned, he would aim to get past the first week and compete for a third title. After the Tour, he would have two weeks until the road race in Rio de Janeiro on August 6. 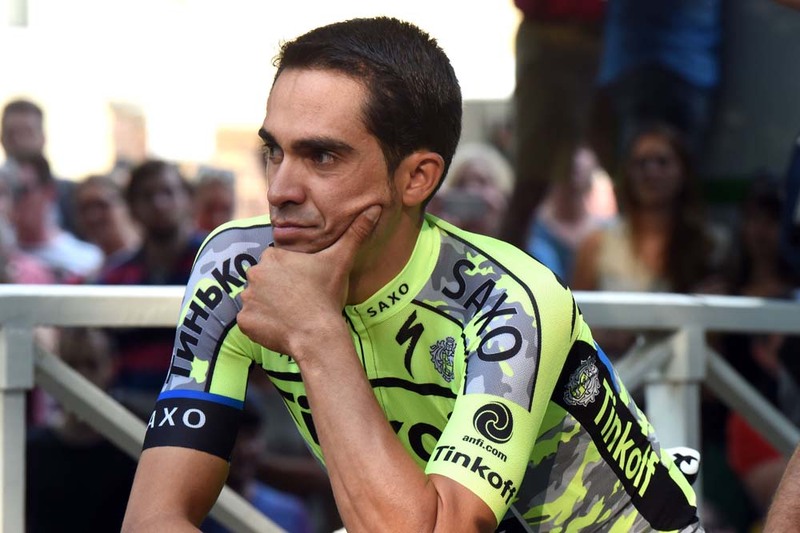 Contador could then put a “full stop” on his career.